I’m also posting today at the IWSG site - Where to Find a Great Book Cover Artist. Some great samples and lots of links, so check it out. 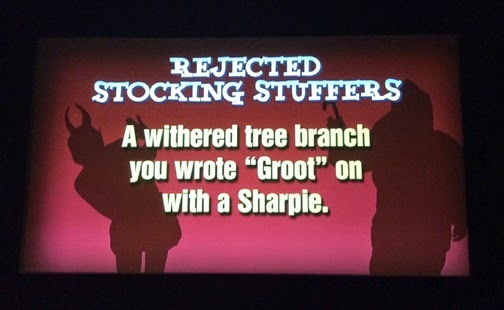 Since Dancing Groots are nowhere to be found right now, I thought I’d give you some last minute alternatives. From Stylin Online - a Guardians of the Galaxy Star Lord Blaster. 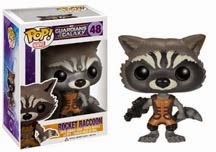 From Pop Vinyl - Pop! 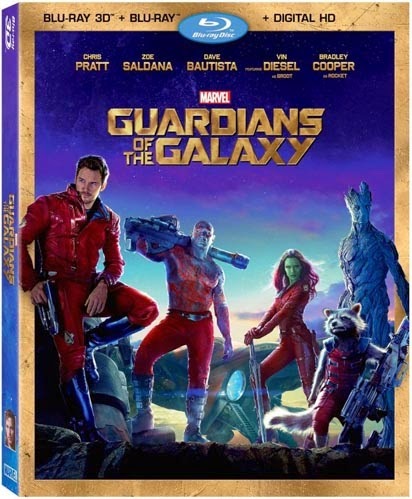 Marvel: Guardians of the Galaxy Rocket. Think Geek had a ton of gift ideas, including hundreds of Star Trek items. 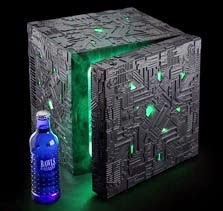 Including this Borg Fridge, ready to assimilate your beverages. Think Geek also had a long list of Star Wars gifts. 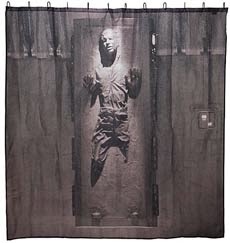 How about a Han Solo in Carbonite Shower Curtain? Maybe Dr. Who is your thing instead. 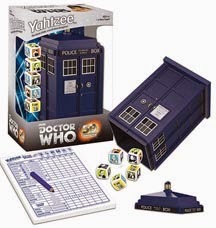 Want to play some Dr. Who Yahtzee? 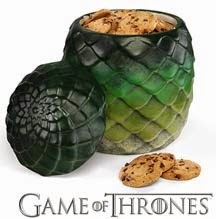 Fantasy isn’t forgotten at Think Geek either – they even have Game of Thrones gifts. And it is ‘special,’ as it provides serious competition to Manos: The Hands of Fate and Plane 9 From Outer Space for the worst movie ever made. 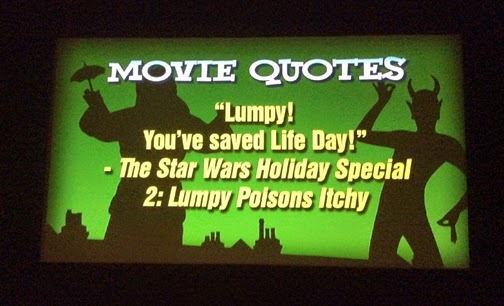 You get Chewbacca’s family, Art Carney, Bea Arthur, Jefferson Starship, and the stars of Star Wars. 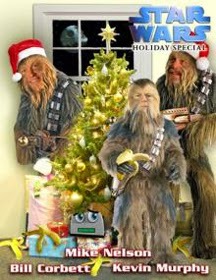 The main storyline is trying to get Chewbacca home to his family for Life Day, but there is so much padding and strange elements, you’ll soon forget the movie has any meaning. The film goes from too childish for kids to really risqué with Diahann Carroll as a singing holographic prostitute. 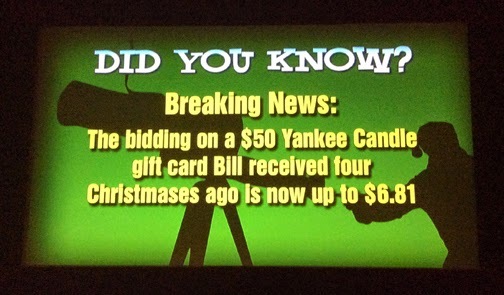 The 1978 commercials are just as horrific. If you can co-host in January, let me know – we need two more. And if you could co-host in February or March, leave a comment as well. I was honored to find Dragon of the Stars on Beauty in Ruins’ list of most anticipated science fiction books of 2015 – top pick for April. Thanks, Bob! LG Keltner is celebrating her third blogging anniversary on January 9 with a Snarky blogfest! See her site for details. Find it on Amazon, iTunes, and other sites. Find it on Amazon, Barnes and Noble, and others. Welcome to Battle of the Bands! Founded by Stephen T McCarthy and Faraway Eyes. You know the routine – pick your favorite. Since it’s Christmas, you’re getting Christmas music – Muppet style! Here are two very different versions of Jingle Bells from our felt-covered friends. With the holidays coming, I will not be posting again until January 5. 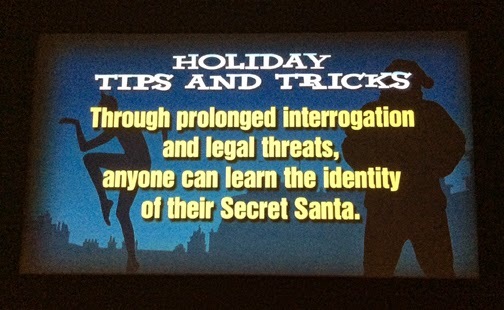 I will be lurking, although the week of Christmas, probably not much. I make no secret that I am a born-again Christian, and Christmas is the celebration of the birth of my Lord and Savior. I will spend the holidays with family and friends, grateful for the precious gift God gave us. Mini-Alex and friends would like to wish you a Merry Christmas, Happy Hanukkah, Happy New Year, and holiday greetings to all! 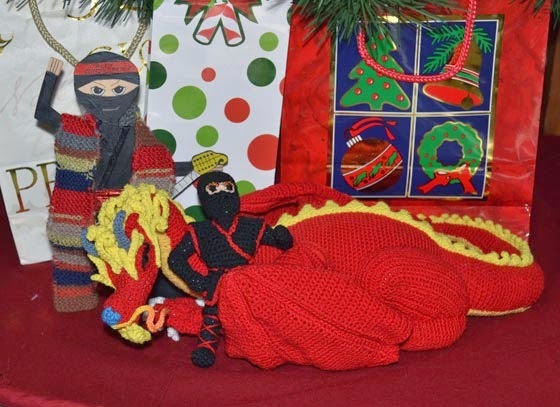 Any of those geek gifts fit someone on your list? (Or do you want it for yourself?) 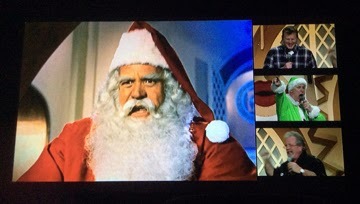 Ever watched the Star Wars Holiday Special? Can you help co-host the IWSG? See any good books? Which version of the song is your favorite? 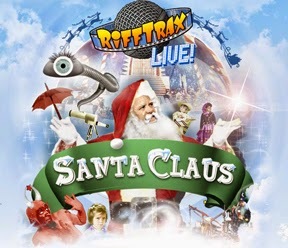 And what are your plans for the holidays? Don’t forget to visit MJ Joachim’s Writing Tips and the IWSG site! The Galaxy Express has a special feature on CassaFire, including an amusing and very short excerpt. If you want to know a little more about the book and sample the story, check it out. 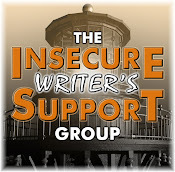 I’m a guest at Thoughts in Progress discussing the IWSG and the IWSG book. Find the book at Amazon, Barnes and Noble, Kobo, Smashwords, Goodreads. Thanks to everyone who contributed and to my IWSG Admins who worked so hard to put it together. This was a huge project, but we wanted to celebrate three years of the IWSG right and highlight its blog and Facebook members in the process. We hope you’ll find some great information within the pages and spread the word about this awesome book. The penguins are up against Dave the octopus who wants revenge and to rid the world of cute penguins. It’s a lightweight film with fast action and LOTS of silliness. Not the most memorable movie, but much better than Madagascar II – and certainly an entertaining hour and a half. Lots of crazy puns, great animation, and a simple plot that moves quickly. 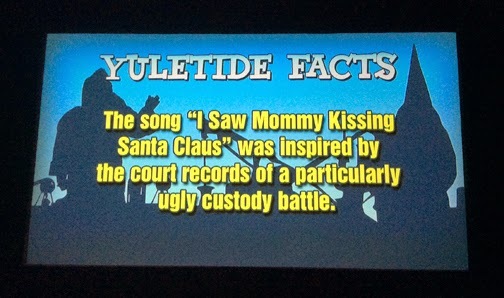 You could certainly do worse that watch the stupid penguins movie! Karen’s 2014 Blog Awards are now open for voting. 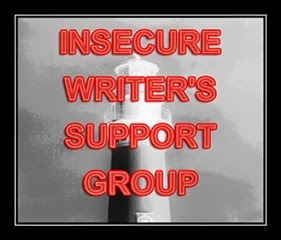 There are some awesome blogs in the running for each category, including the IWSG for best writing! If you think the site rocks, please vote. Vote for your favorite version. 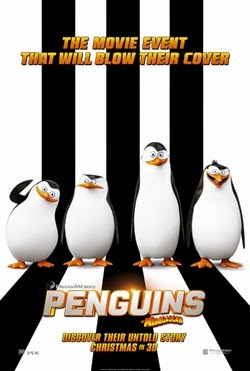 Anyone else see the stupid penguin movie? (At least it was better than the stupid owl movie.) Vote in the blog awards? Which version of Cars is your favorite? Did you enjoy your Thanksgiving holiday? 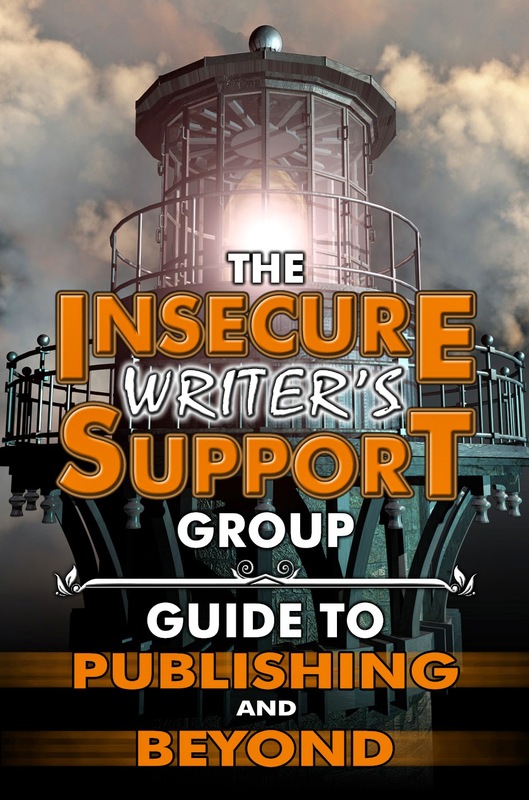 And are you downloading the IWSG book? Be sure to visit Thoughts in Progress and The Galaxy Express. 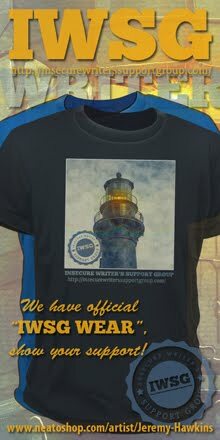 See you Wednesday for the IWSG posting!